The double hung door has the same characteristics as the single door. Double hung doors can, of course, fill far bigger openings. They are also made to measure, but as with the single doors, standard dimension ranges (height and width) enable us to offer attractive prices. 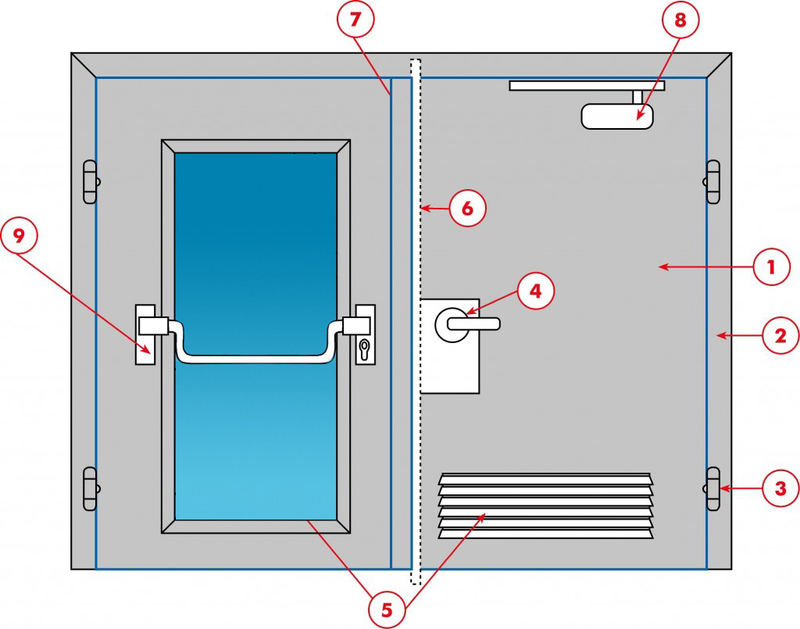 The table below, available for downloading, relates to “Type 1”, the most cost-effective solution, and the dimensional limits of the range of double doors. 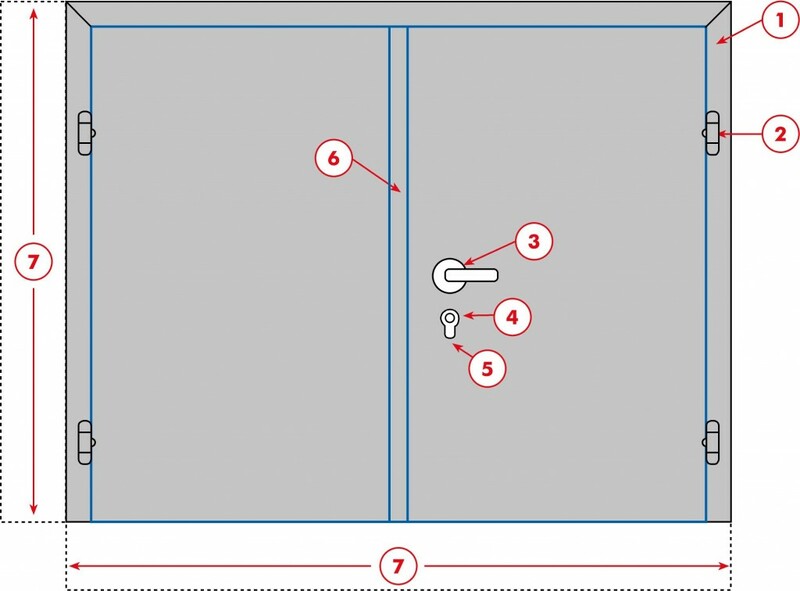 Double doors can be provided with a door closer on the service leaf or on each leaf. 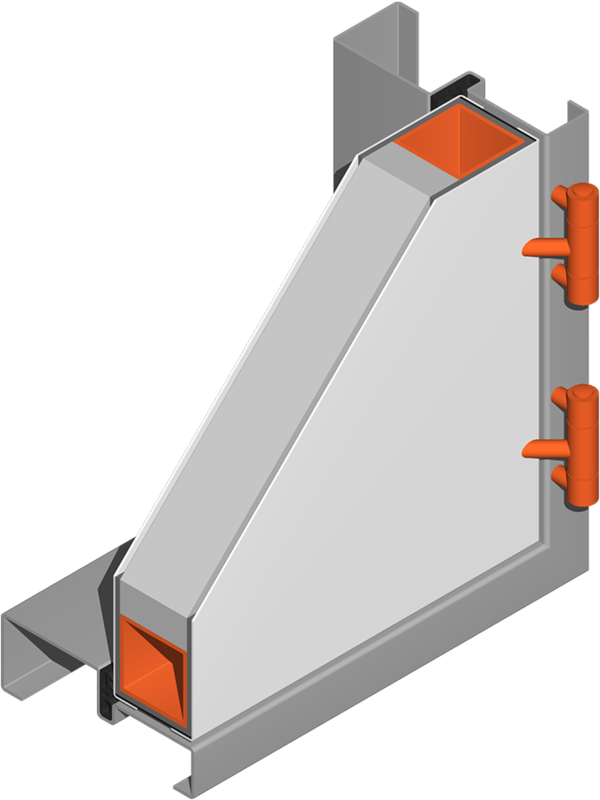 In the latter case, a closure selector is fitted to ensure that the leaves close in the right order (first the fixed leaf and then the mobile leaf) to avoid collisions or blockages. How far do the double door performance levels go? Contact us for more information about combining performance features and the high-level protection offered by our double hung doors. 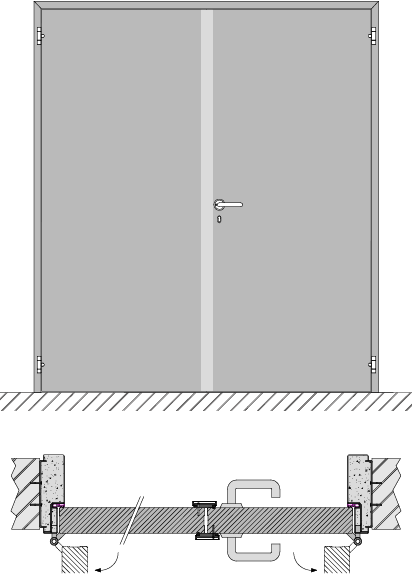 Double door with no priority direction of opening, two-way, anti-panic flush or surface-mounted, special uprights, etc. Door leaf position indicator, non-removable security studs, soundproof doorsills, door stops, storm chains, peep-holes, impact plates and many other fittings.